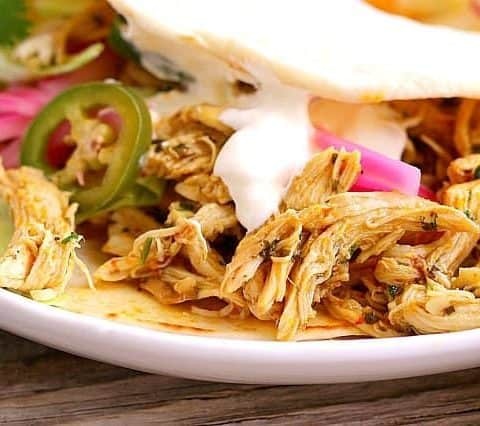 Here’s a unique and fresh recipe for Easy Chicken Tacos with instructions for your stove top or Instant Pot. Chicken breasts get poached in a delicious combination of orange juice, Worcestershire, garlic, and smoky chipotle peppers in adobo sauce. Cilantro goes in at the end for extra brightness and flavor. I know, when you think of making chicken tacos, you don’t normally think of adding orange juice or Worcestershire. Trust me, you’re going to love this moist, juicy, chicken dish so much, it may easily become the summer favorite. Especially given how easy the recipe is to bring together. The sauce that’s created for this recipe is so good, I can’t expound enough. I actually double it sometimes just to have more for pouring over the shredded chicken. Excellent in the tacos or on top of a salad or over rice. 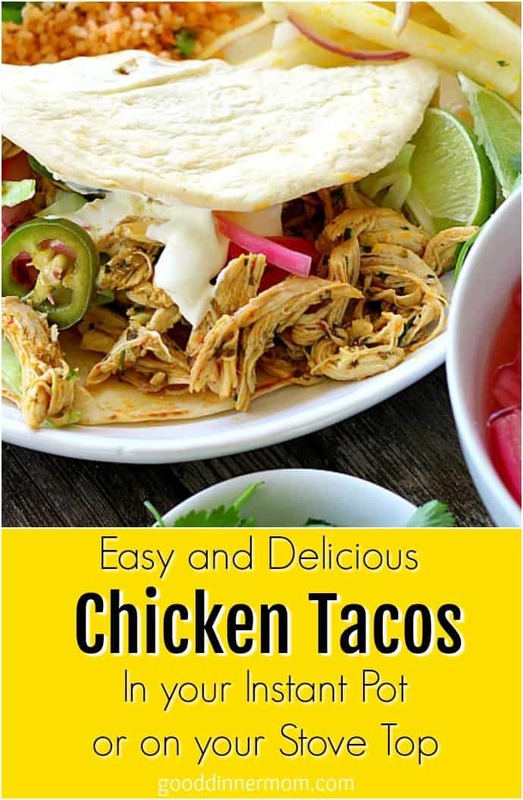 As I mentioned, the printable recipe will show how to make the Chicken Tacos in the Instant Pot as well as how to make the dish in a skillet on the stove. I found both methods to yield equally tender chicken and vibrant flavor; the Instant Pot eliminated some of the hands on time required on the stove and shaved off about 15 minutes total cooking time. 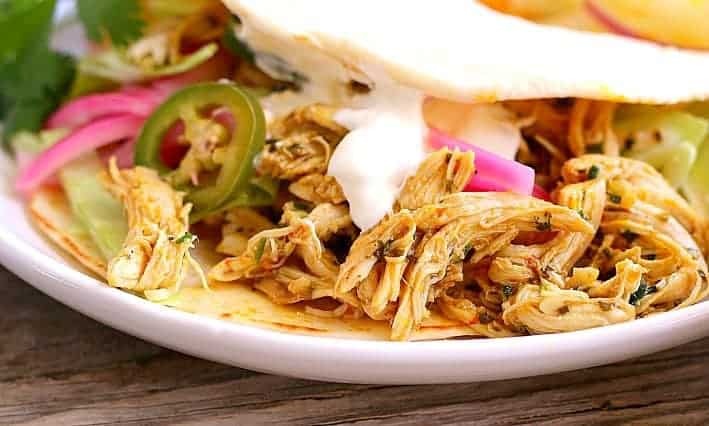 I’ve made these tacos many times over and they’re so flavorful that serving the chicken in flour tortilla wraps is often enough, but they’re also a hearty meal served with a full-on taco bar of condiments and veggies. I’ll be sharing my recipes for Pickled Red Onions and Jicama Slaw soon. 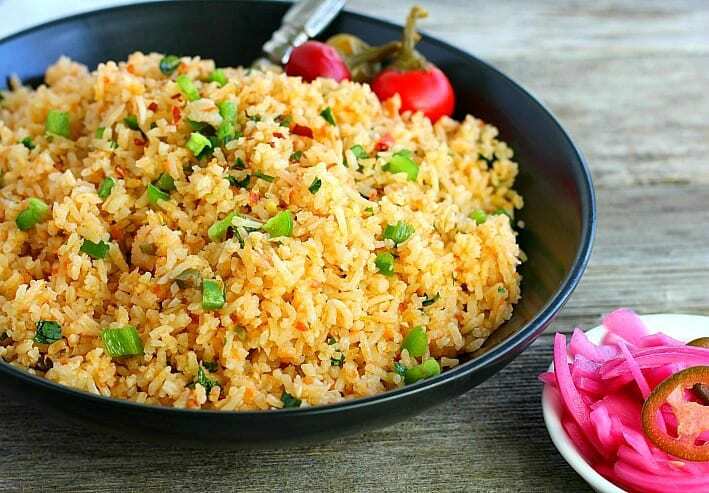 Also, my recipe for Classic Mexican Rice is perfect on the side. 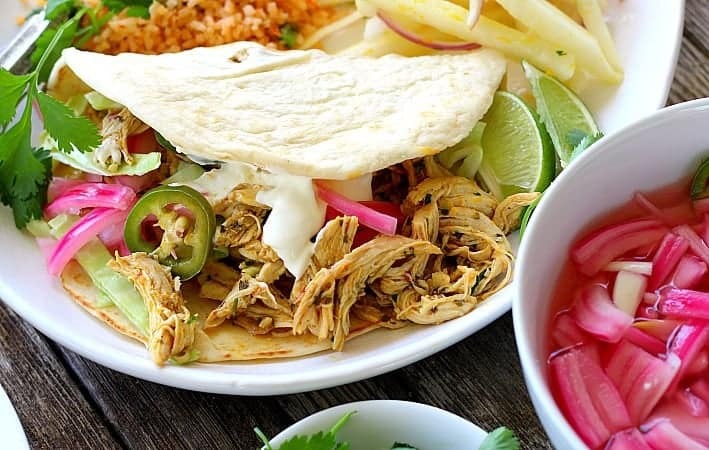 A full feast of Easy Chicken Tacos, Classic Mexican Rice, Jicama Slaw, and Pickled Red Onions is about to become my go-to meal for family get-togethers, as well as something to take to a friend or neighbor in need. 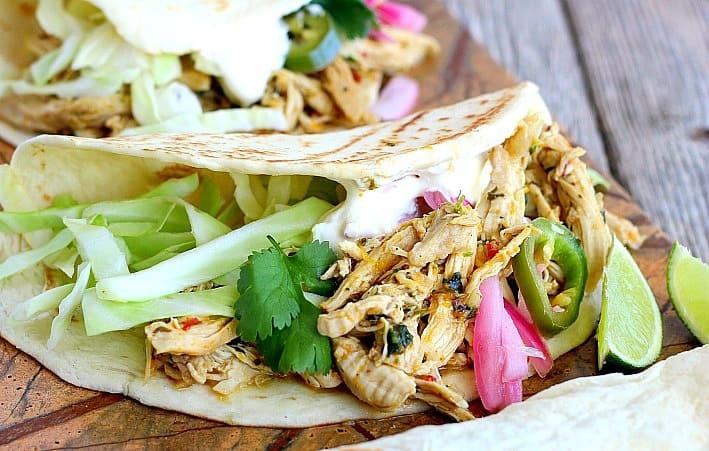 Because the Easy Chicken Tacos, apart from being what the name claims, are fresh, surprising, and not like any other taco dish you’re used to. Leftovers are fantastic especially when you double the sauce so the chicken can continue to marinate in the juices in the fridge. In fact, feel free to make a day ahead of time. 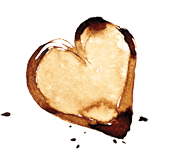 I hope you enjoy this recipe and if you make it, be sure to let me know what you think! The ingredients in the "sauce" for this recipe are unconventional but the combined flavors of orange juice, Worcestershire, garlic and chipotle peppers in adobo create a stellar freshness you're sure to love. Below I offer instructions for creating this dish in a snap using either your pressure cooker or stove top. Place the lid on Instant Pot/pressure cooker. Turn vent to Sealed position, select Manual and 8 minutes cooking time. Once the cooking is finished, release the steam with Vent immediately. After steam has released completely, remove the lid and remove chicken to a cutting board. Using two forks (or your hands if the chicken is not hot), shred the chicken and set aside for a few minutes. Turn the Saute function back on the Instant Pot/pressure cooker, add 1/2 cup of the cilantro to the liquid in the pot and allow everything to boil and reduce and thicken slightly. Add the chicken back into the pot with the remaining 1/4 cup cilantro and toss until well combined. Season with salt and pepper. Serve with tortillas. Melt butter in large skillet over medium-high heat. Add garlic and chipotle and cook until fragrant, about 30 seconds. Stir in orange juice, Worcestershire, and ½ cup cilantro and bring to boil. Add chicken and simmer, covered, over medium-low heat until meat registers 160 degrees, 10 to 15 minutes, flipping chicken halfway through cooking. Transfer to plate and tent with foil. Increase heat to medium-high and cook until liquid is reduced to ¼ cup, about 5 minutes. Off heat, whisk in mustard. 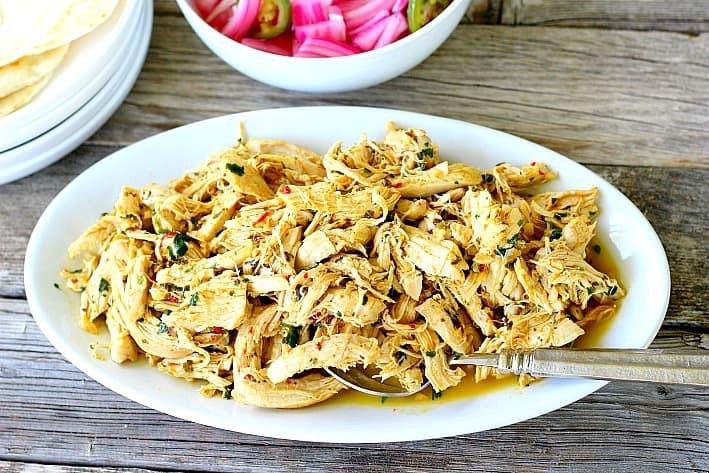 Using 2 forks, shred chicken into bite-sized pieces and return to skillet. Add remaining cilantro to skillet and toss until well combined. Season with salt and pepper. Serve with tortillas. Fresh squeezed orange juice or orange concentrate provides more orange flavor and intensity to the recipe. Bottled orange juice is still great if that's what you have on hand, just with a milder result. I frequently double the garlic, chipotle, orange juice, and Worcestershire because the sauce in the recipe is so flavorful. Everyone loves it and comments on how it makes the tacos. 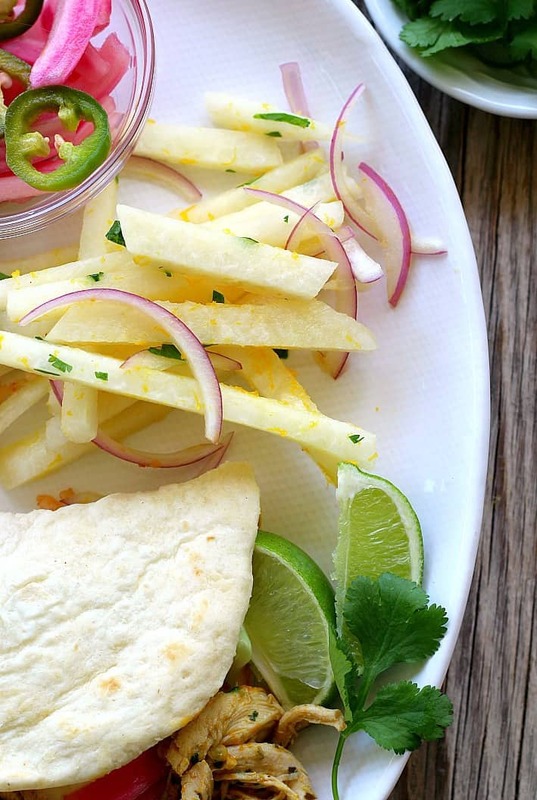 The chicken tacos are perfect alone in flour tortillas. We also add onions, cotija cheese, grape tomatoes, and lettuce for a "fuller" meal. Some of you may be concerned about the small quantity of liquid used in the Instant Pot for this recipe. I've made it a few times in my 6 quart Instant Pot with complete success. I cannot speak to the success of a larger pot or other brand of pressure cooker. If you're concerned, there is no harm in increasing the orange juice, Worcestershire sauce, chipotle peppers and garlic even further.